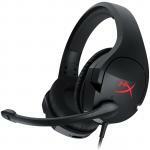 "Possibly one of the most comfortable headsets I've had in a long time. 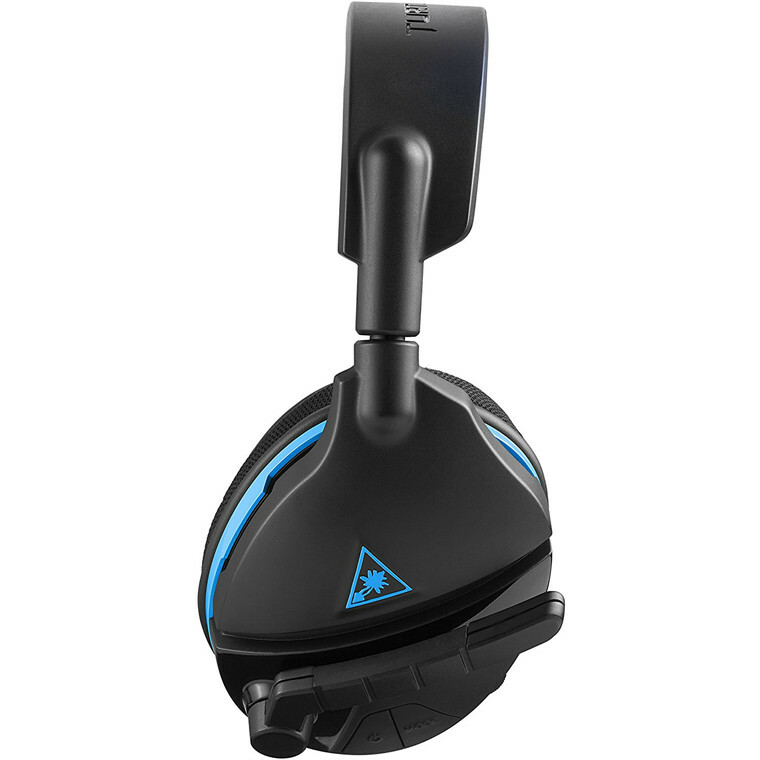 The angled ear cups sit at the best position and puts the headband at the correct position over your head. Great for those with..."
"Fantastic headset. Works with both PS4 and PC. Has heaps of features like super human hearing which enables you to, for example, hear enemy footsteps much louder in fps games. 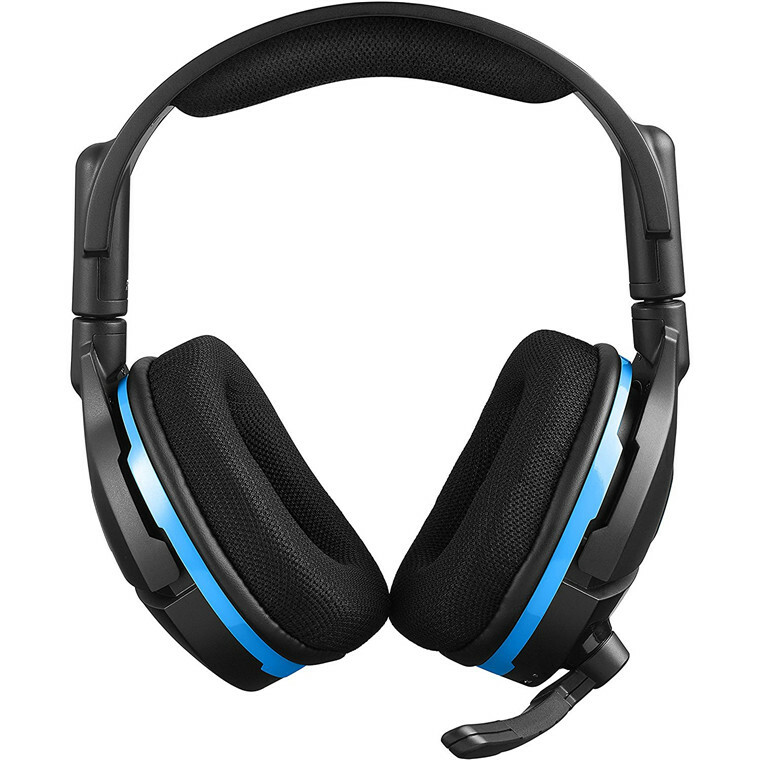 Battery life is about 15..."
- 100% Wireless - Experience crystal clear, interference-free game and chat audio with 100% wireless connectivity to your PS4™ Pro or PS4™ game console. - Flip-up Mic - Turtle Beach's renowned high-sensitivity mic takes on an all new form, picking-up your voice loud and clear to ensure your commands are always heard loud and clear. 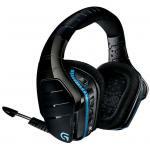 Plus, it flips-up out of the way to Mute when not in use and blends into the headset's design. 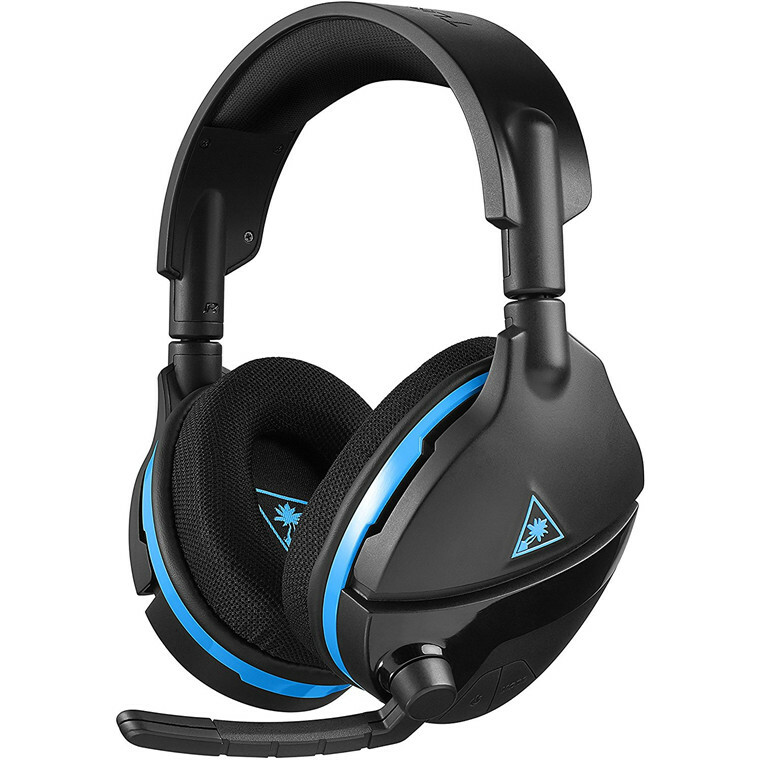 - Turtle Beach Virtual Surround Sound - Turn standard stereo sound into virtual surround sound and immerse yourself in your games, movies and music on any platform. - Superhuman Hearing™ - With Turtle Beach's exclusive Superhuman Hearing™ sound setting, you'll have the competitive advantage by being able to hear all the subtle yet game-changing sounds, like enemy footsteps sneaking up on your six, other players reloading their weapon for an ambush, and vehicles off in the distance approaching with reinforcements. 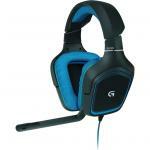 It's vital intelligence for the split-second, life-or-death decisions that elevate great gamers above the rest. Hear everything, defeat everyone! - Glasses Friendly - The latest version of Turtle Beach's patented ProSpecs™ Glasses Relief System features dual-foam ear-cushions, with softer foam in the section of the ear-cushions that rests against your glasses, alleviating pressure and allowing gamers with glasses to play in comfort. - Variable Mic Monitoring - Say it.don't shout it, thanks to the ability to hear and adjust the volume of your own voice inside the headset to avoid shouting at teammates and other players. - High Quality 50mm Speakers - Hear every crisp high and thundering low with these large, powerful 50mm speakers. Possibly one of the most comfortable headsets I've had in a long time. The angled ear cups sit at the best position and puts the headband at the correct position over your head. Great for those with less hair and wear glasses, still comfortable for long sessions. As another review says, works great on Windows PC too. Cons: volume controls are small wheels at the back so easy to knock one when moving the other.Possibly one of the most comfortable headsets I've had in a long time. The angled ear cups sit at the best position and puts the headband at the correct position over your head. Great for those with less hair and wear glasses, still comfortable for long sessions. As another review says, works great on Windows PC too. Cons: volume controls are small wheels at the back so easy to knock one when moving the other. 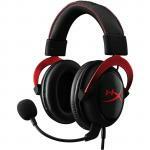 Fantastic headset. Works with both PS4 and PC. Has heaps of features like super human hearing which enables you to, for example, hear enemy footsteps much louder in fps games. 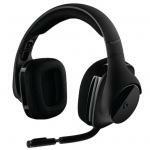 Battery life is about 15 hours which is great and it is comfortable to wear for long periods of time.Fantastic headset. Works with both PS4 and PC. Has heaps of features like super human hearing which enables you to, for example, hear enemy footsteps much louder in fps games. Battery life is about 15 hours which is great and it is comfortable to wear for long periods of time. Normally: $138.26 Normally: $159.00 $103.52 ex. $119.05 inc.